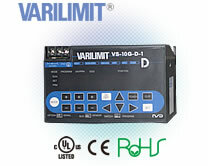 VS-10G is the multi functional smart VARILIMIT with various output options such as digital signal output, analog signal output, motion control and multi preset function. *1 : The function cannot use when connecting to the VRE single-turn type ABSOCODER. 8 points 8 points 8 points 8 points Inputs the exteral program No. pre-designated by the external signal. Position Value will be held so that it can be read as a measuring value. 1 point 1 point 1 point 1 point The switch signal is output when turning ON this signal. 1 point 1 point 1 point 1 point Cancels an error when this input is turned ON. 30 points 30 points 30 points 30 points ON/OFF signal will be output based on the switch output setting values. 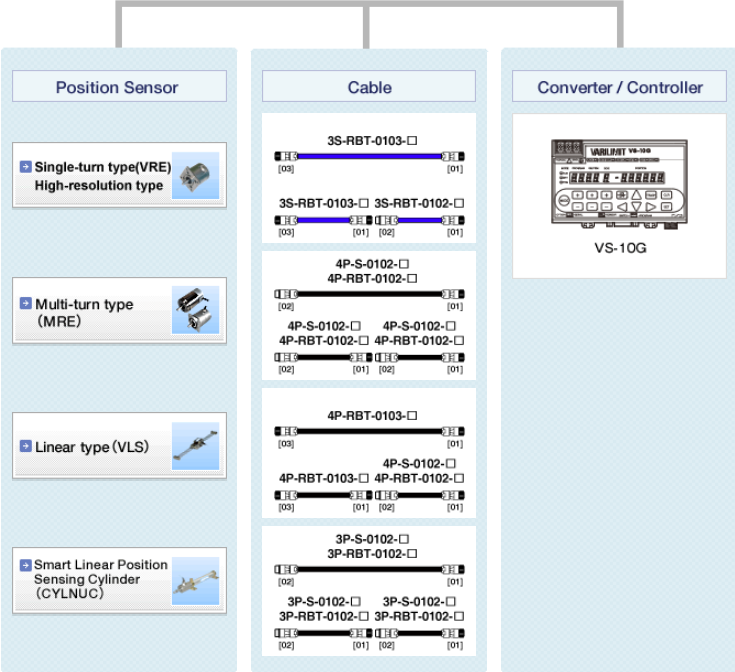 1 point 1 point 1 point 1 point Outputs when controller and sensor are functioning normally. 8 points 8 points 8 points 8 points The currently selected program No. is output. 23-bit binary+sign) - - Outputs current position or measuring values in BCD or binary code. - 3 points - - Outputs current position or measuring values in BCD or binary code. - 1 point - - Outputs when negative current position or measuring values are output in BCD code. - 1 point - - This is updating timing signal of the current position outputs. current position value is held. 1 point 1 point 1 point 1 point Outputs when the detected travel direction and speed match the predetermined values. the position outside of the preset possible range. *2 : It is assigned to the switch output 28 when using the HOLD measuring completed signal. *3 : It is assigned to the switch output 29 when using the motion detection signal. *4 : It is assigned to the switch output 30 when using the preset error signal. Position/Speed and voltage can be set as required at the parameter. Position/Speed data for 4mADC and Position/Speed data for 20mADC can be set as required at the parameter.